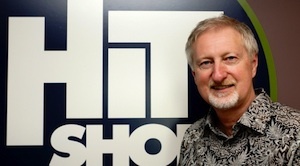 Rick Baumgartner has risen to the rank of National Director of Promotion for new music label HitShop Records. In his new role, Baumgartner will develop overall strategies to serve radio clients on a national level. He will continue to report to HitShop VP of Promotion, Diane Monk Harrison. Baumgartner’s career path includes previous stops at Warner Bros., Decca Records, Atlantic Records, industry publication Radio & Records, Broken Bow Records, Equity Music Group and Black River Entertainment. Baumgartner can be reached at rick@hitshoprecords.com and 615-491-0935. HitShop Records is distributed by Warner Music Nashville and is part of the Ramblin Music Group, whose holdings also include Young Guns Publishing.